The Mobile Binary Code Software (AKA MBC Capital) and Howard Kessler is a dangerous Blacklisted SCAM. Our factual review and in-depth investigation will prove that this unsavory character is merely a facade designed to mask and act as window dressing for a much more elaborate scheme designed to fleece your wallet by illegally soliciting you to invest through a fake app and auto-trader. When the SPAM complaints started coming in from irate day-traders we immediately understood we were not dealing with the standard run-of-the-mill ploy. In fact, what we saw was a fancy high-end production designed to dazzle and charm you out of your money. 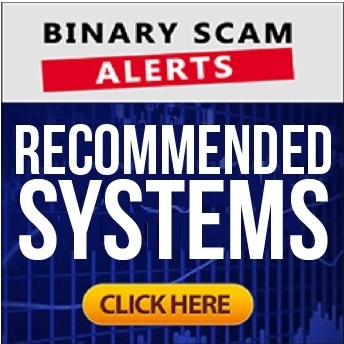 Still, our gut feeling isn’t enough so keep reading and you will see all the proof needed in order to conclude that we are dealing with a verified binary options investment SCAM. Below you will see an image of “Howard Kessler” the actor and cheater. This faker says “the only possible outcome is for you to win”. That is not only fallacious and over hyped, it’s simply a blatant lie designed to fool you into funding an account with a rogue broker of their choice. Below you will see Mr Larry Landers from the Profits Unlimited SCAM we blacklisted a while ago. Its plain to see we are talking about the same person with the same attitude trying to sell you snake oil and fake holy water. Do We Need to Go Into the Actual Software? NO, because it’s pointless! We just proved to you the guy is a paid actor and charlatan so if he isn’t real it means the software is trash code as well. So Howard Kessler (that was the name of my math teacher by the way, and I REALLY hated him) or whoever he is comes out of a shiny rental car and starts chatting about a “wealth-producing program” that “produces high amounts of profits quickly and does not lose money. Ever.” Then he goes on to say that it “hasn’t lost a single trade in the past 3 months for any trader”, and that is conflicting information. In all honesty, they are just making it way too easy to debunk and making themselves look like complete morons. Moving forward, this con artist walks into an office that looks “very familiar” and continues to talk about giving beta-testers the Mobile Binary Code to try out and guess what? The results were amazing! So now he is offering you a way to make fast cash and auto-pilot earnings. Been there, tried that and once bitten twice shy! 1. The actual software – we don’t see it unless we actually signup and and use it. This time we passed up on it since it was so obvious to us it was a scam. 2. Proof of actual WINNING trades from the broker account trading history section. 3. Documented wires from the broker’s bank account to his, not just inflated, photo-shopped images of phony bank accounts. 1. Zero transparency – so we actually see nothing! 2. Fake News article clippings of a company that doesn’t exist! 3. Money counters that don’t really say anything. 4. Fake testimonials and ripped off image bank photos. Here you can see Dylan Uhl from Switzerland posing as in a Norwegian Science Magazine as a man with “good sperm count”. It’s fairly easy to see that the rest of the images are stolen or copied without permission since they look too theatrical and unreal. Well, its definitely NOT free and will cost you at least $250 which will be paid through one of the crummy brokers they recommend. Here’s a very partial list: Quantum Code, Brooks Blueprint, Cash Code, Compound Trader, Millionaire Blueprint, Amissio Formula, Quick Cash System, Drexel Code, and Lie Detector Millionaire. If you have searched the internet looking for a legit app with solid ITM results you will most likely be exposed to a barrage of articles from various industry blogs recommending this or that system. In most cases these will be marketers looking to make a quick buck and don’t really care about their viewers or members. However, every once in a while something genuine rolls out and even if its available for a limited time its worth checking out. These are the systems we showcase in our recommended section, and the rest is just worthless chaff. The Mobile Binary Code Software (AKA MBC Capital) and Howard Kessler is a nasty scam and our honest review has provided conclusive and undeniable proof of this. In light of this evidence and the amount of complaints that have swarmed into our operations center, we have no choice but to BLACKLIST this most vile of schemes and warn our members and subscribers to seek alternative means of investing. We are constantly on the search for a genuine app with consistent results and high accuracy levels, the Mobile Binary Code is NOT it, so don’t let yourself be mislead by fools gold and promises of an easy, careless life. The people making the money here are the advertisers promoting this cheap auto-trader and the brokers they operate in cahoots with. The loser would be YOU if you buy into this program, and after reading this review you would have no one to blame but yourself so don’t say we didn’t warn you. Please join our Facebook Page and YouTube channel to understand how scams work!